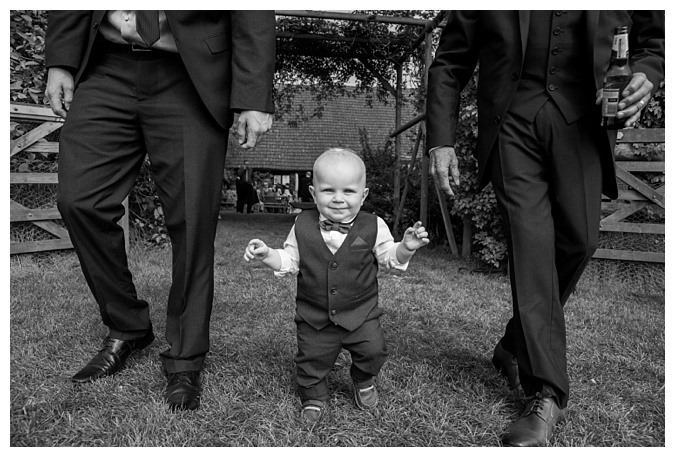 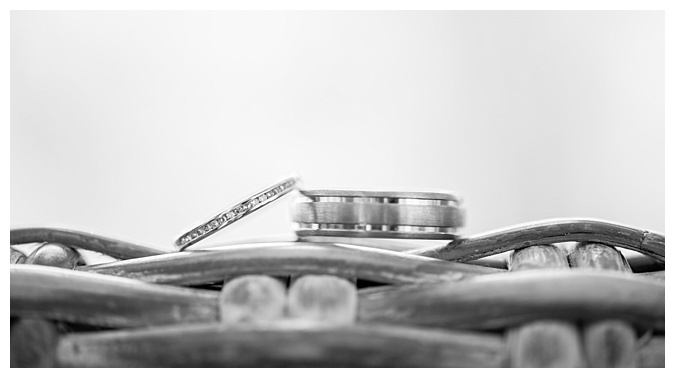 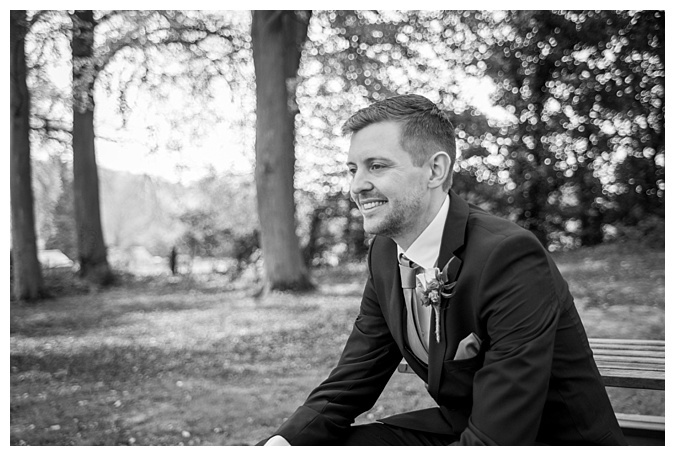 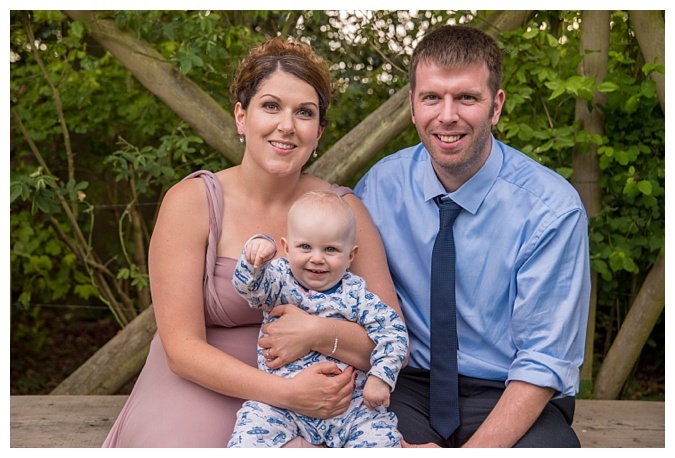 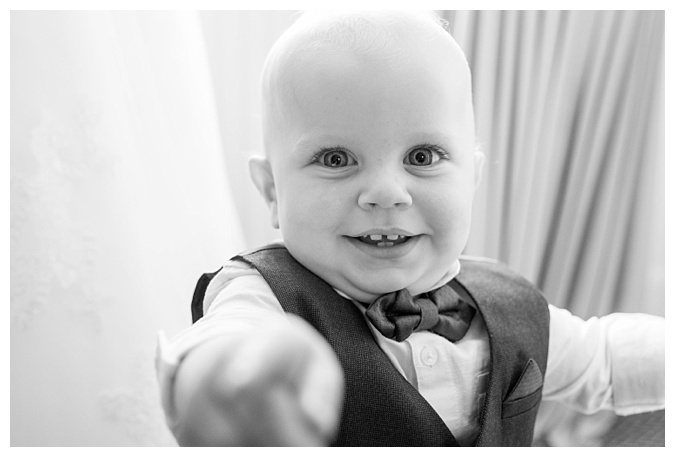 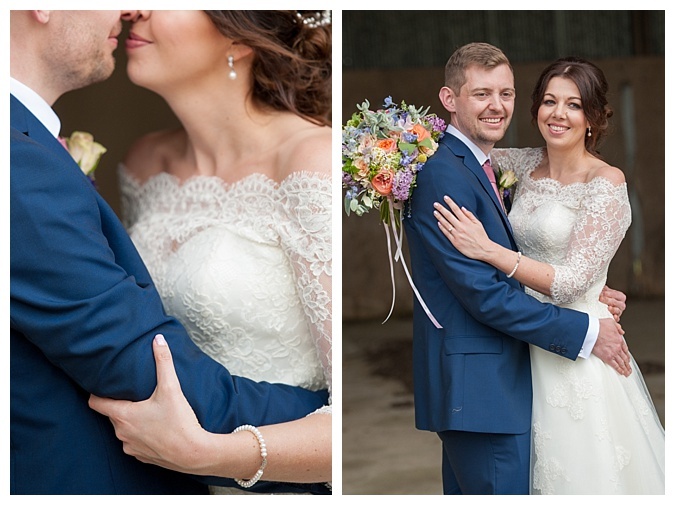 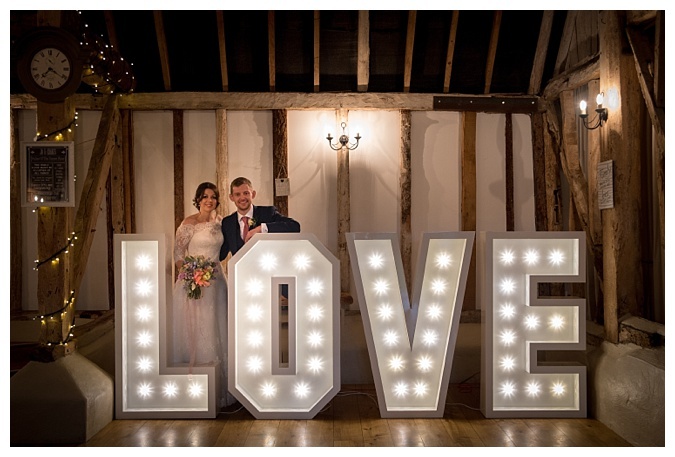 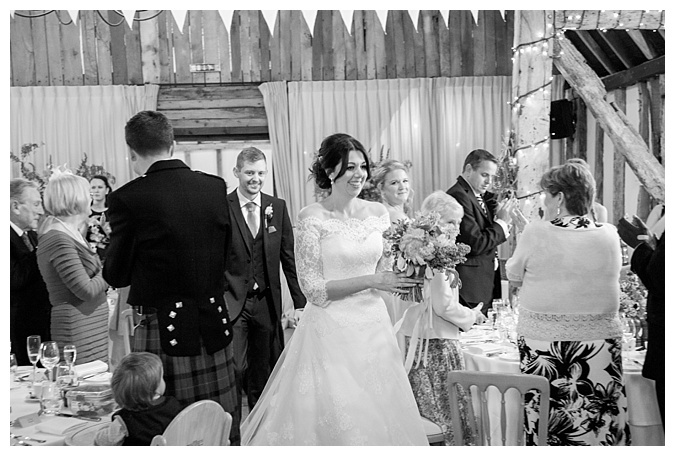 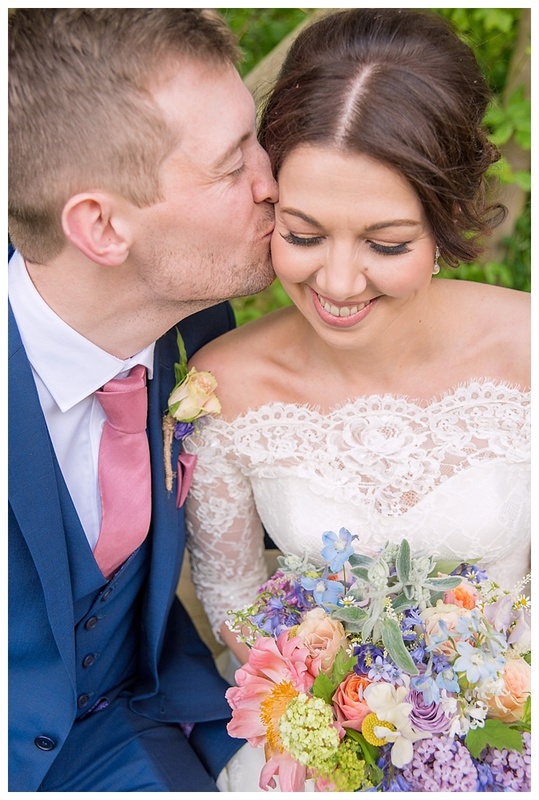 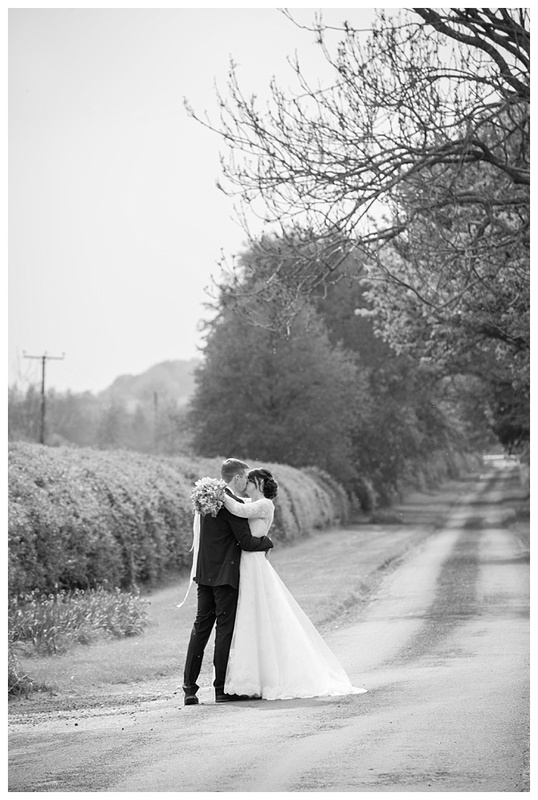 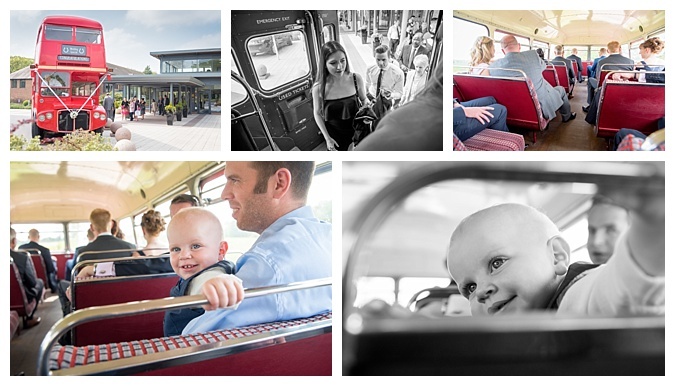 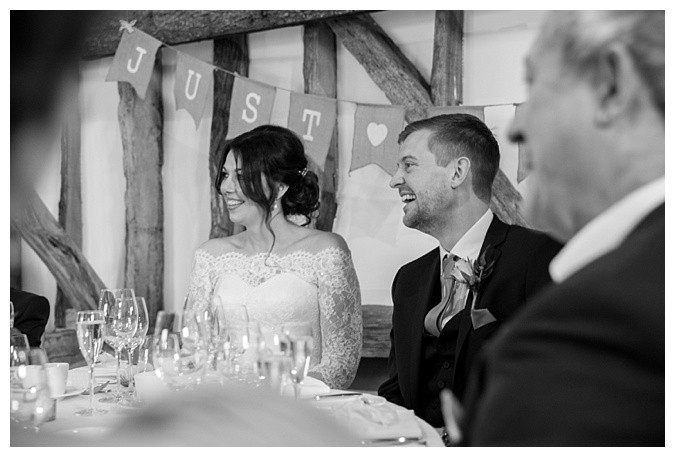 Yesterday was the one month anniversary of Jo and Craig’s beautiful Wedding at Clock Barn in Whitchurch. 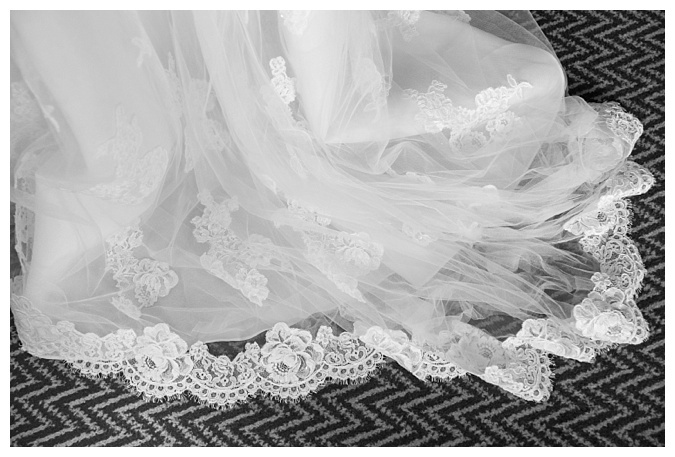 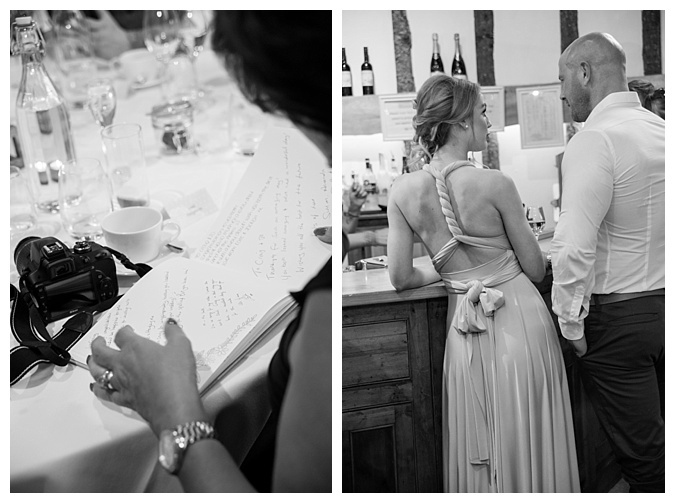 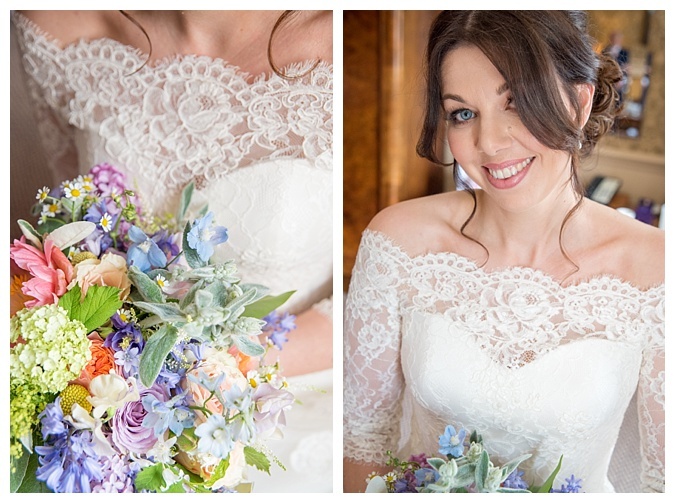 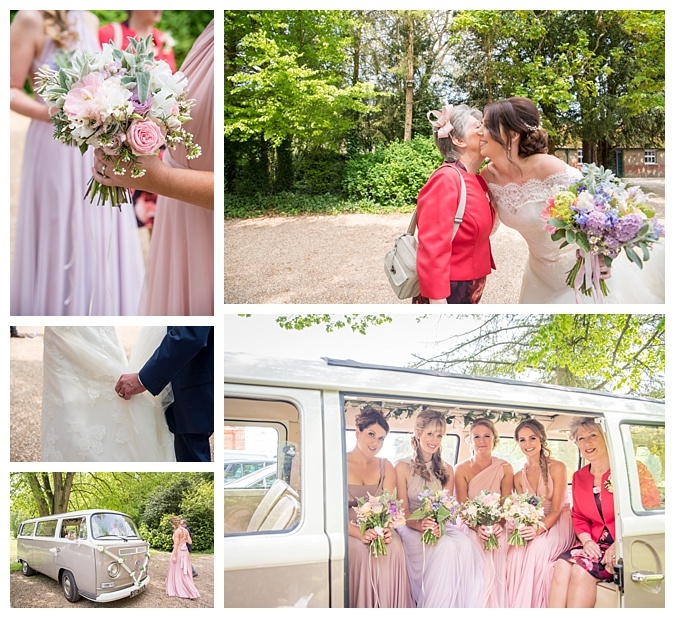 Everything about the day was stunning, from the couple themselves to the venue and styling. 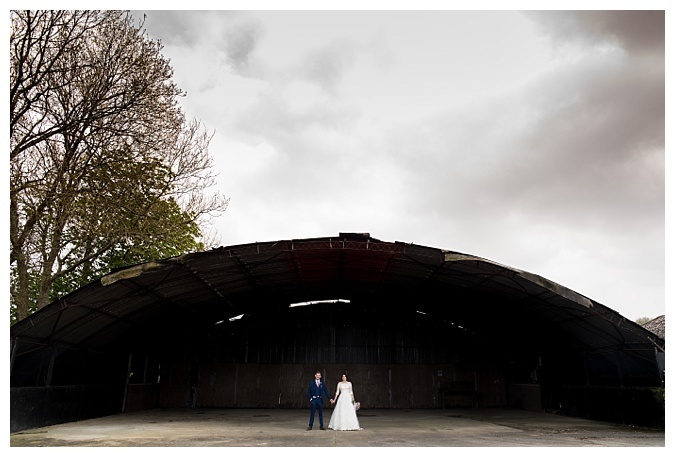 The day itself dawned bright and clear and any worries about showers melted away as blue filled the sky. 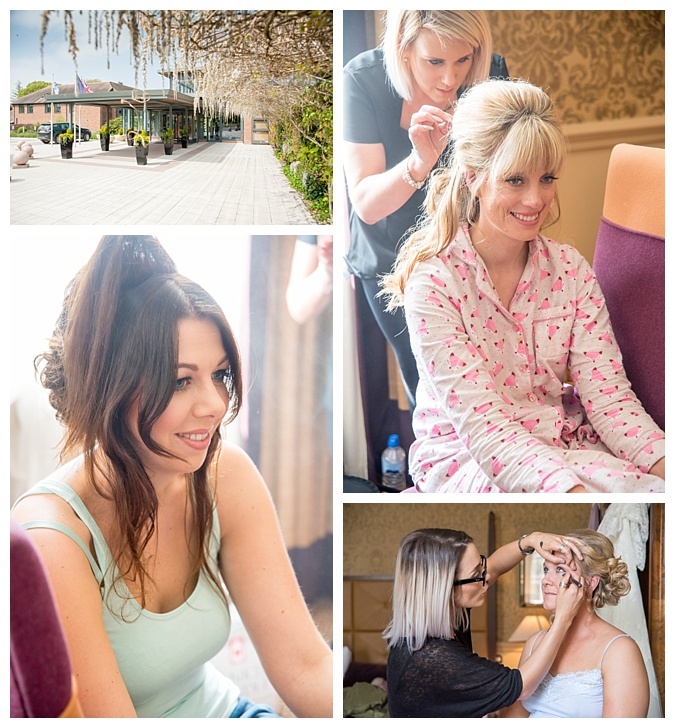 The girls got ready, for the Wedding, at Norton Park Hotel where they enjoyed plenty of bubbles whilst being styled to perfection by the team at Chez Gerrard. 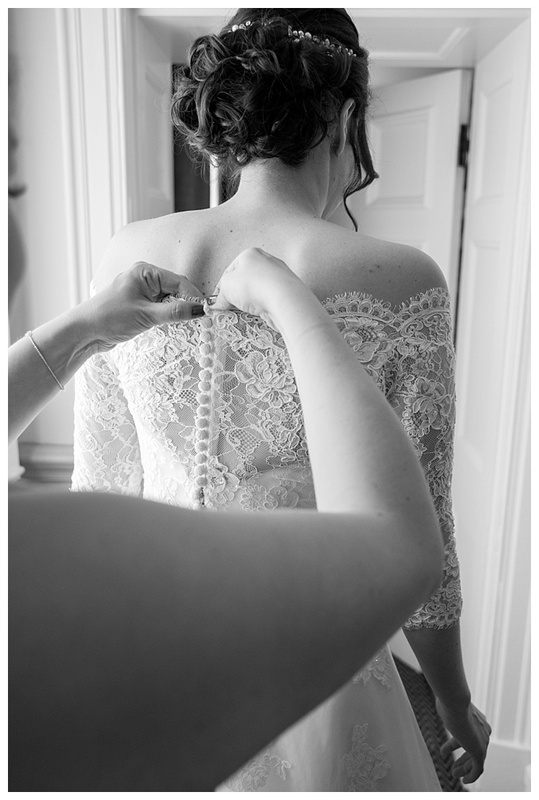 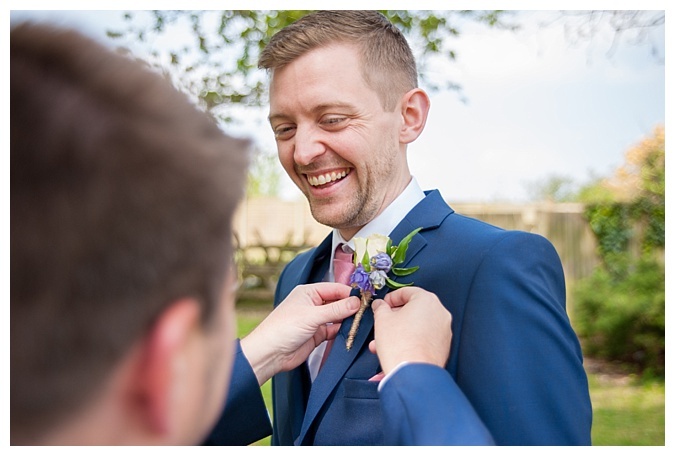 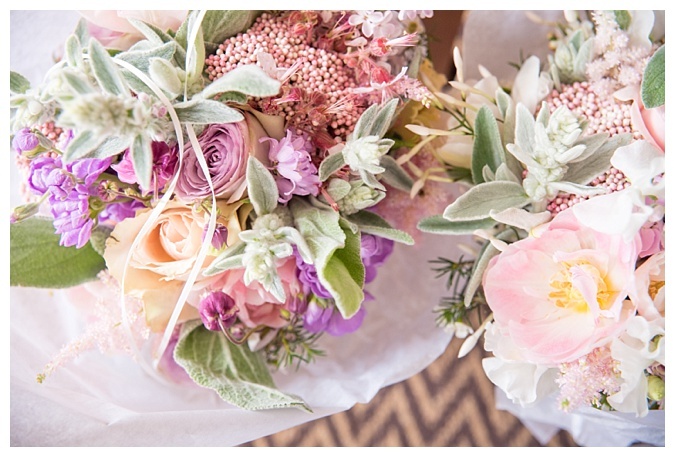 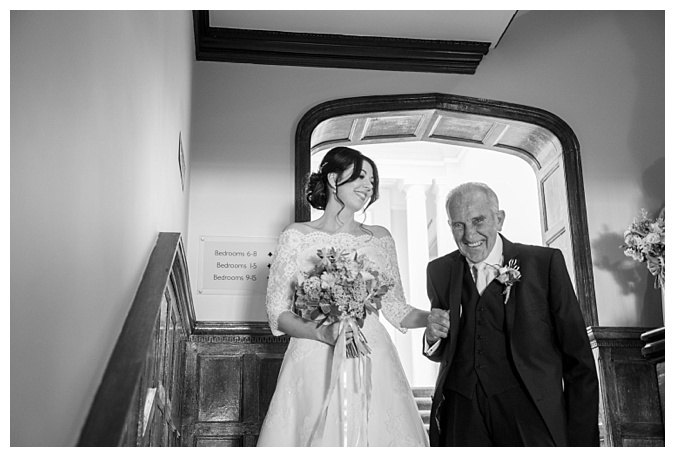 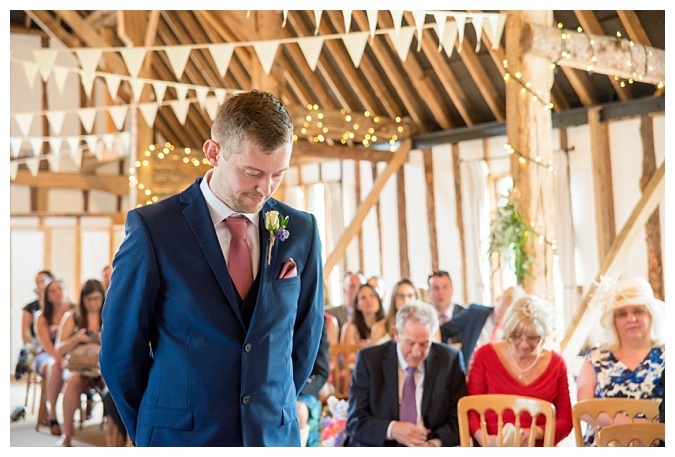 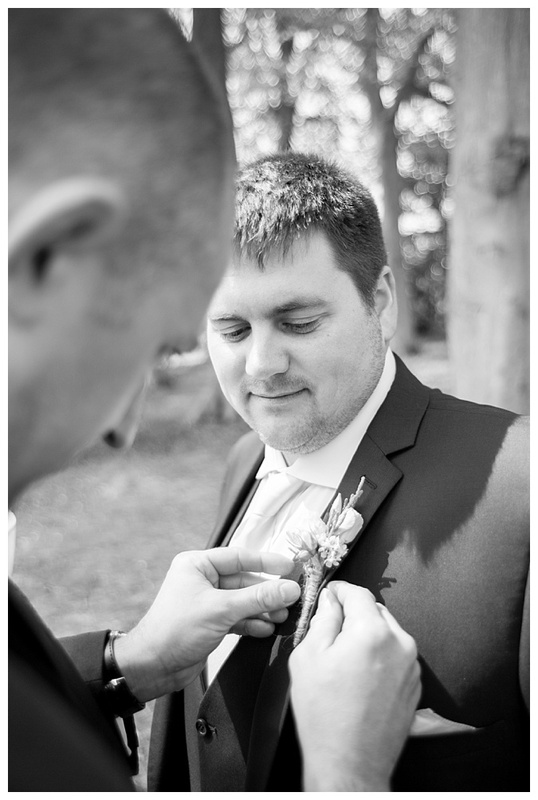 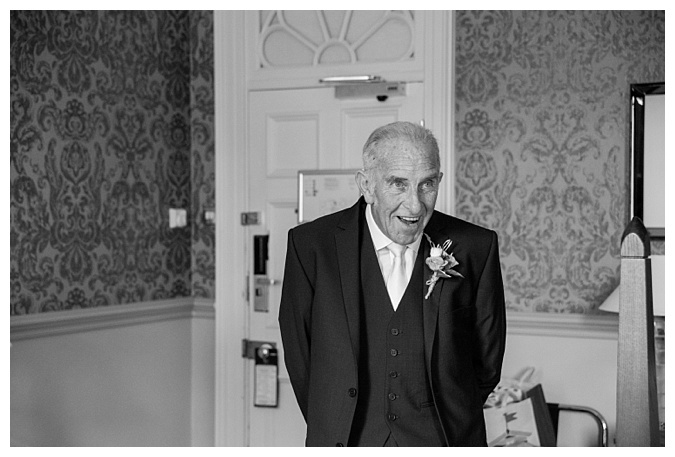 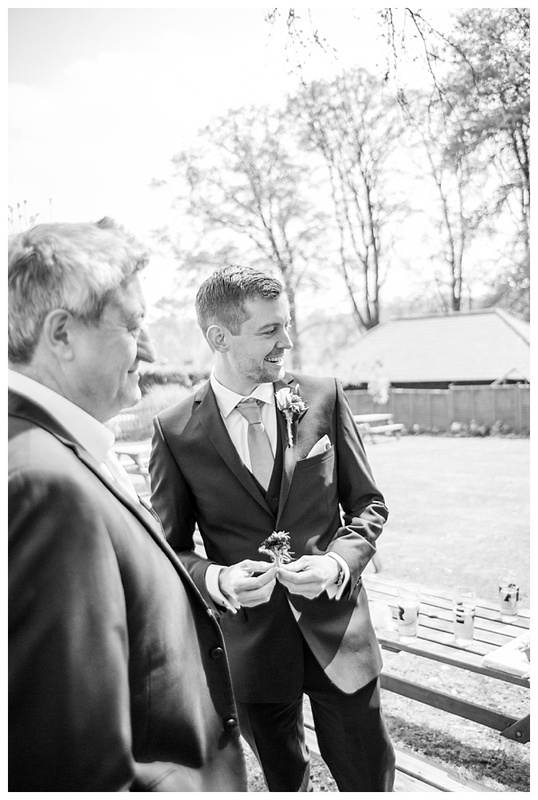 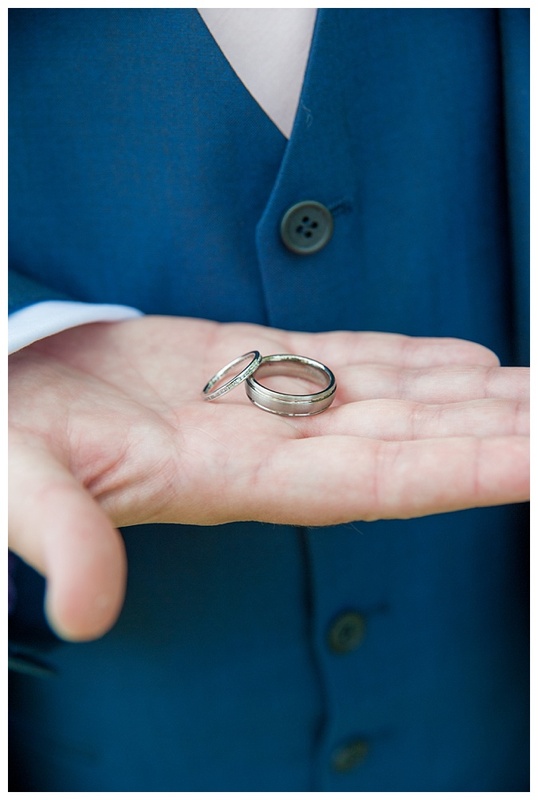 I approach the morning of a wedding by offering myself as a pair of hands to help wherever necessary, from fetching flowers, sewing buttons on and helping with buttonholes….obviously in addition to taking the pictures(!) 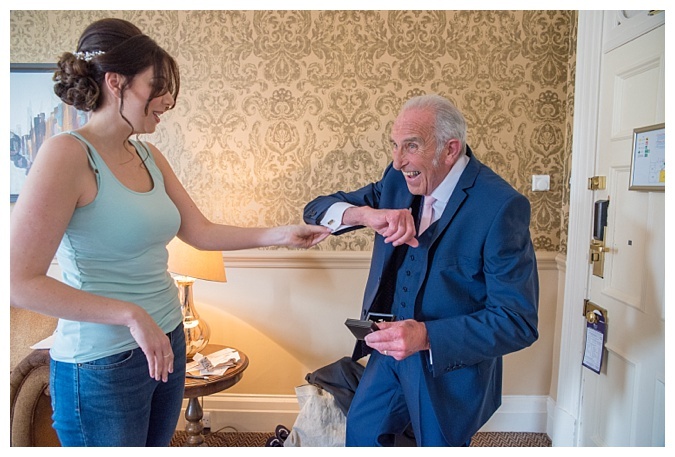 but this way I can be in ‘the thick of it’ without being in any way obtrusive. 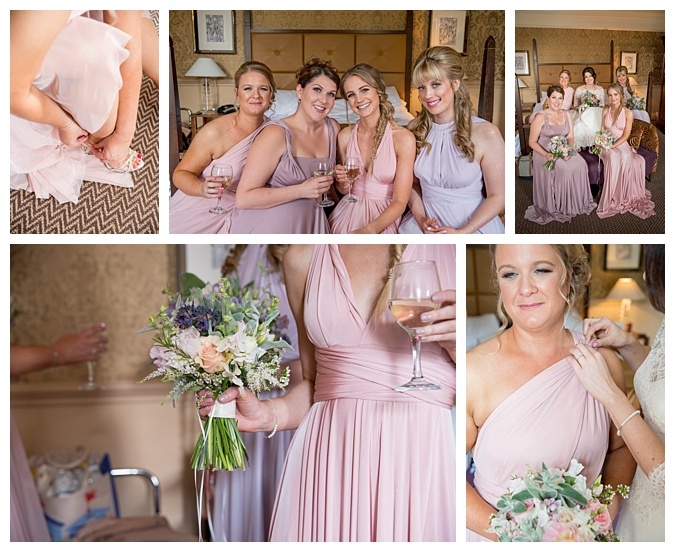 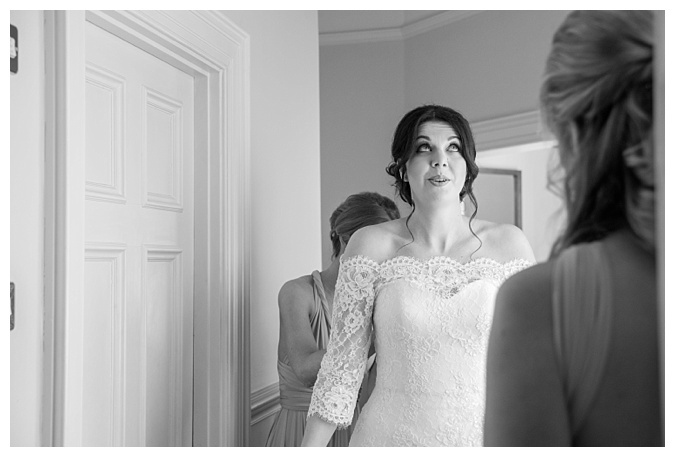 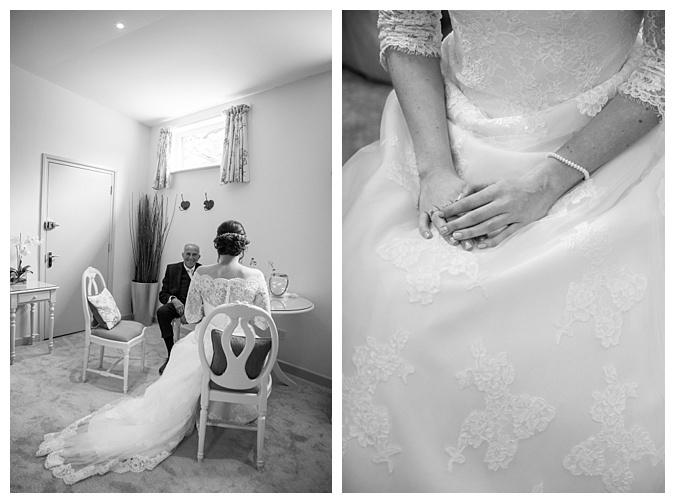 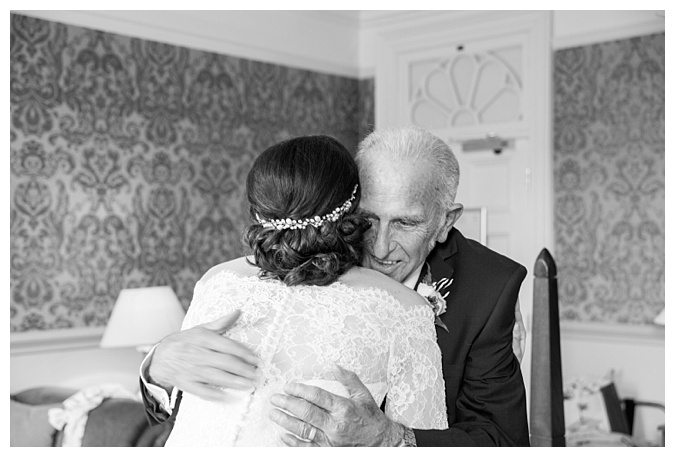 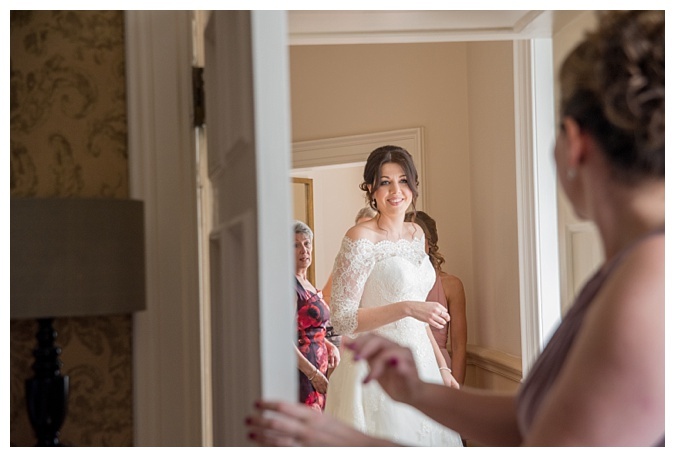 I loved that these ladies just let me crack on and didn’t bat an eyelid as I hopped around the room looking for creative angles and waiting for the perfect moments. 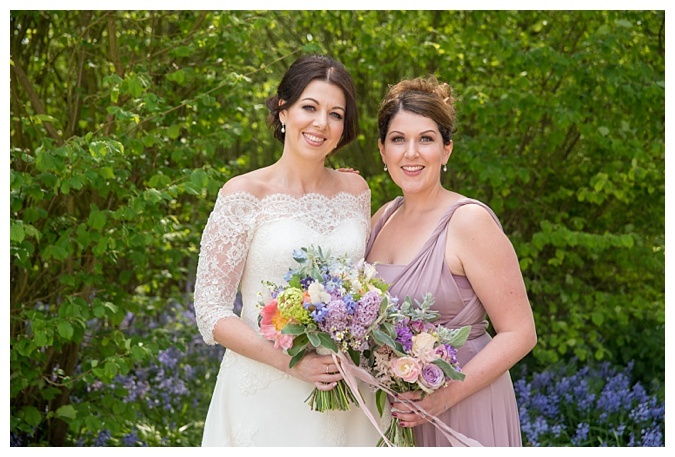 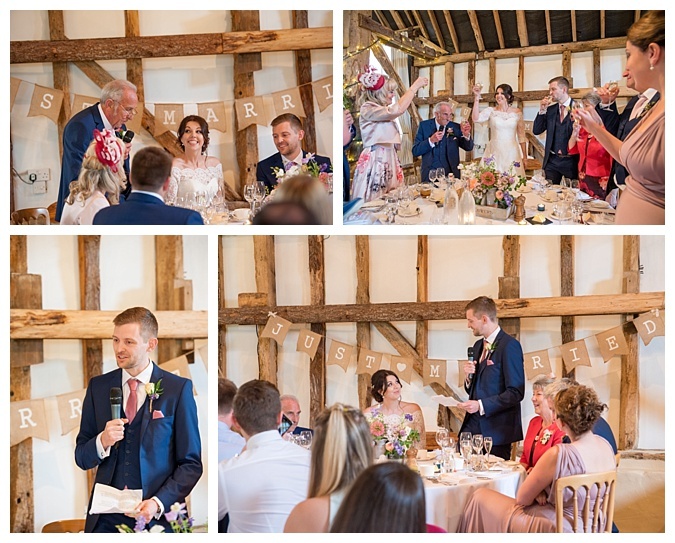 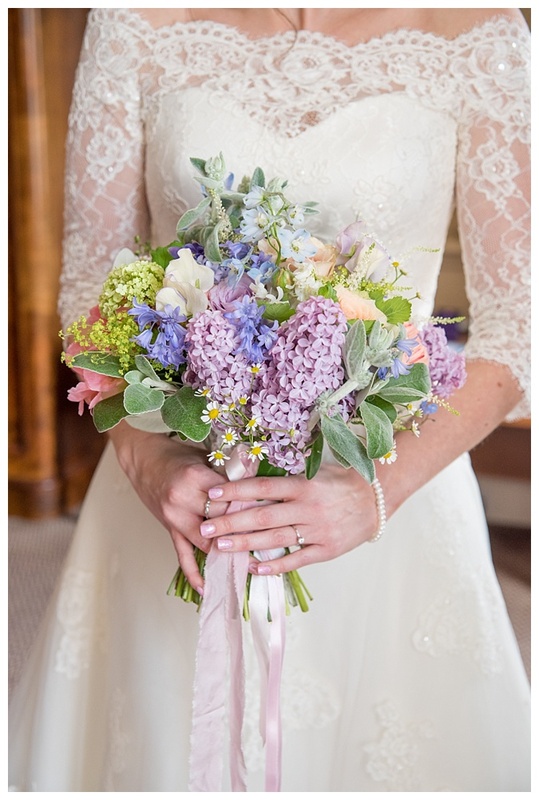 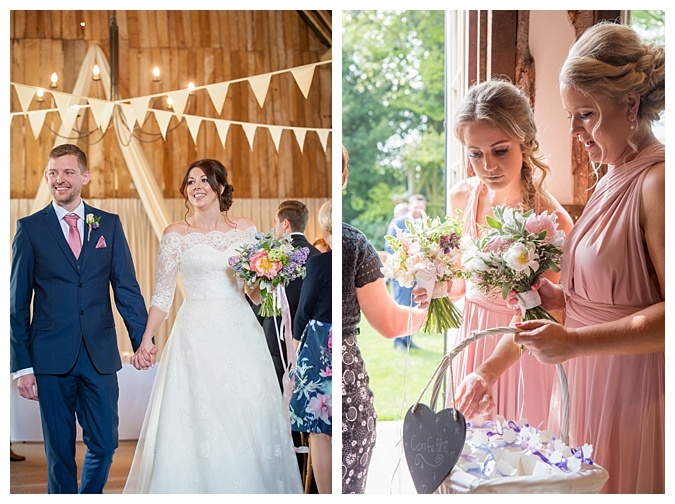 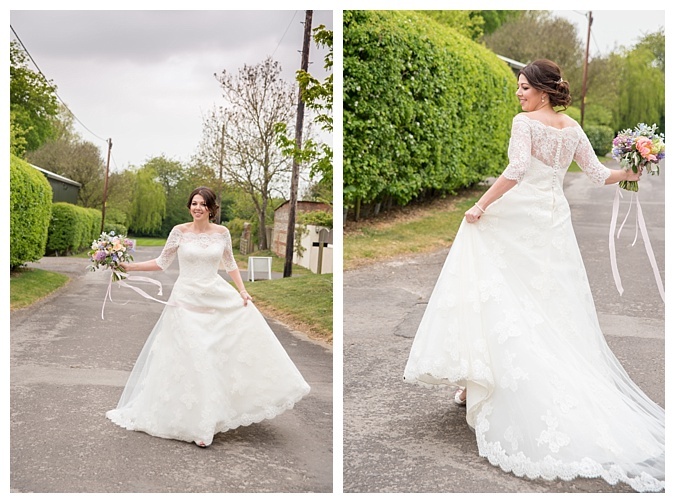 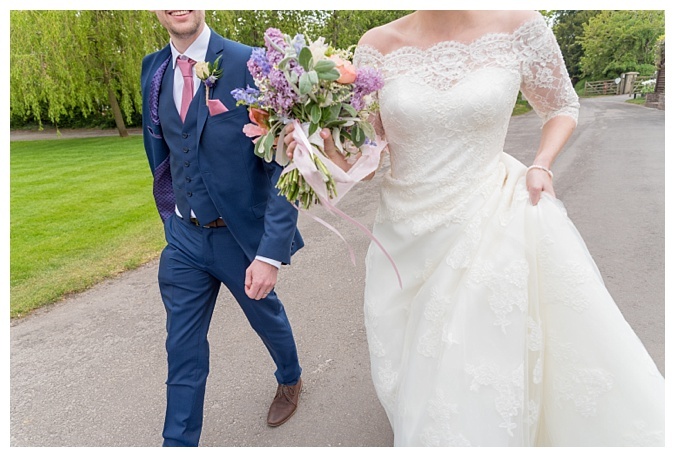 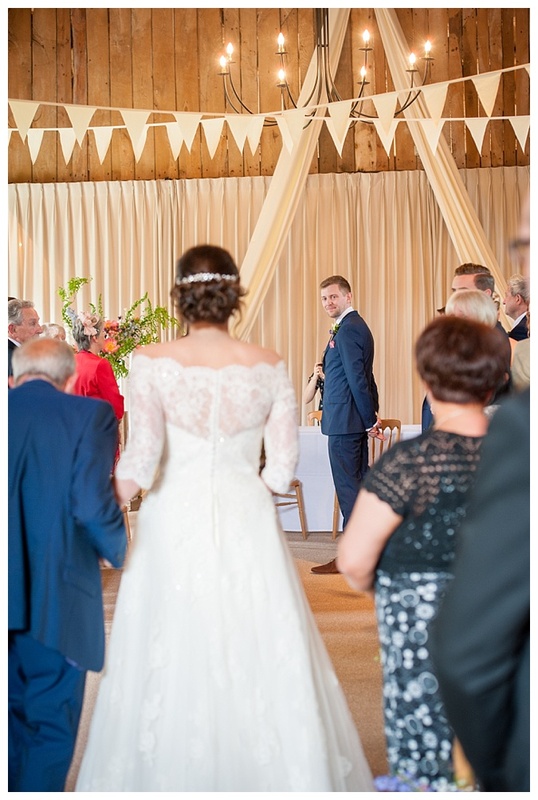 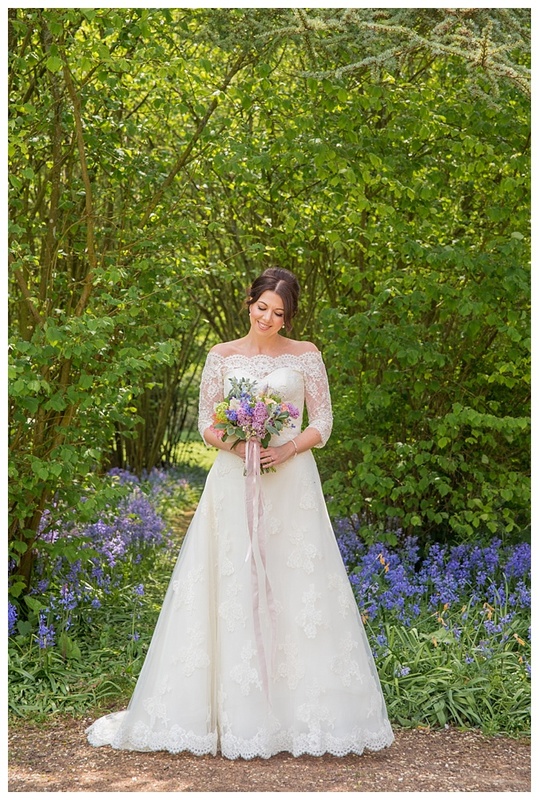 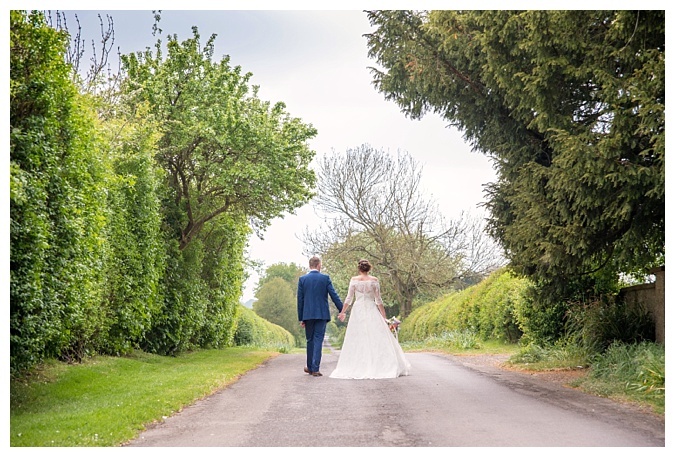 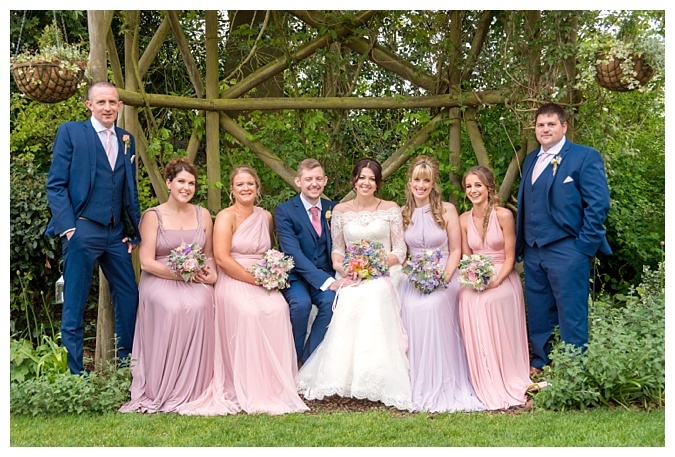 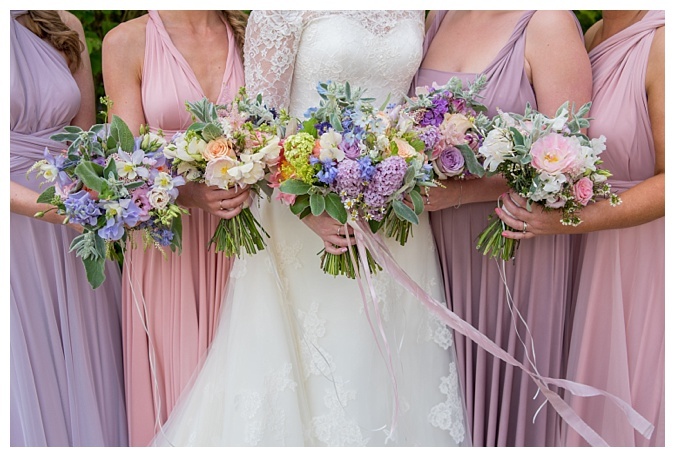 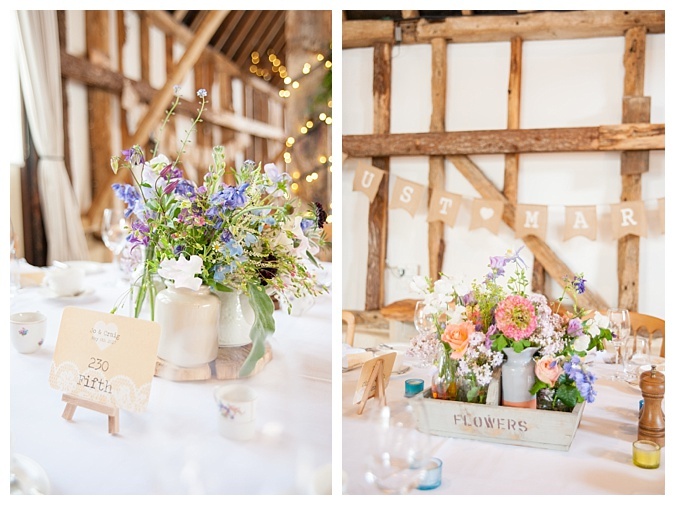 On arrival at Clock Barn, I was stunned by the array of floral designs created by The White Horse Floral Company who had done a fabulous job of complementing the barn surroundings whilst accenting the tonal shades of the bridesmaids dresses. 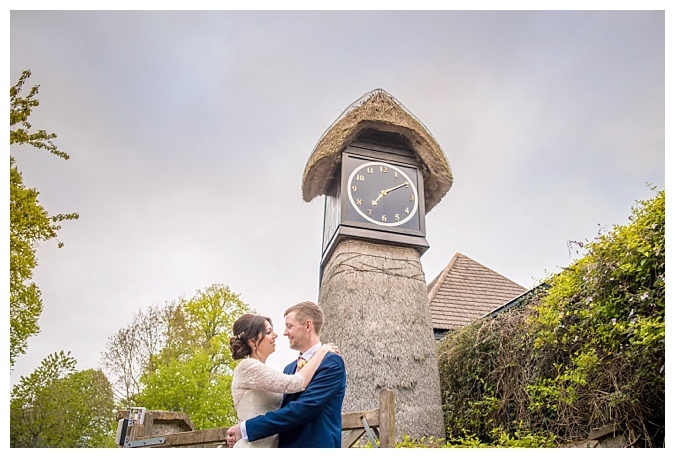 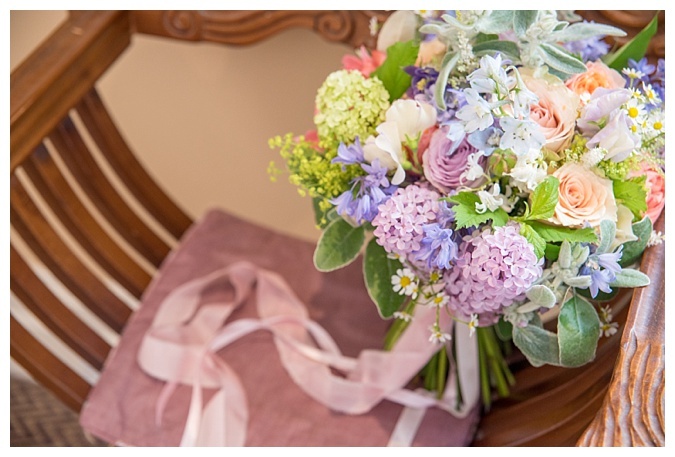 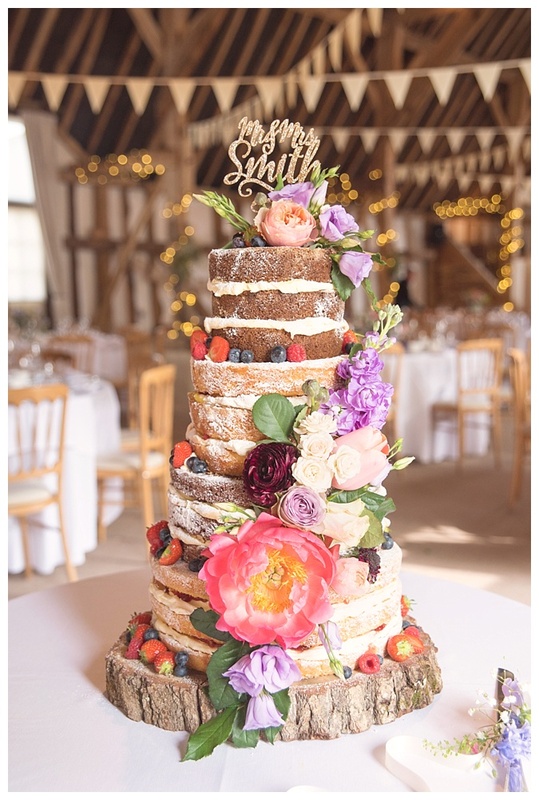 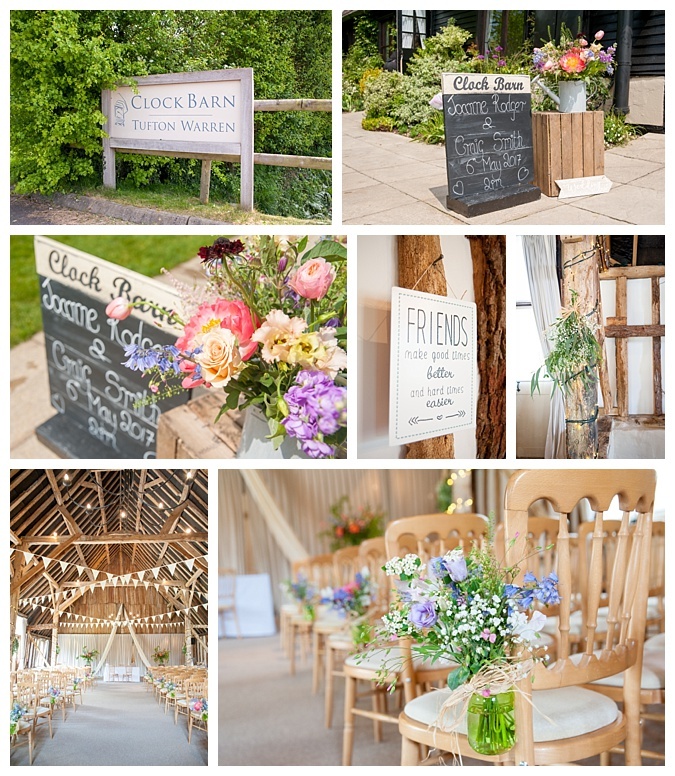 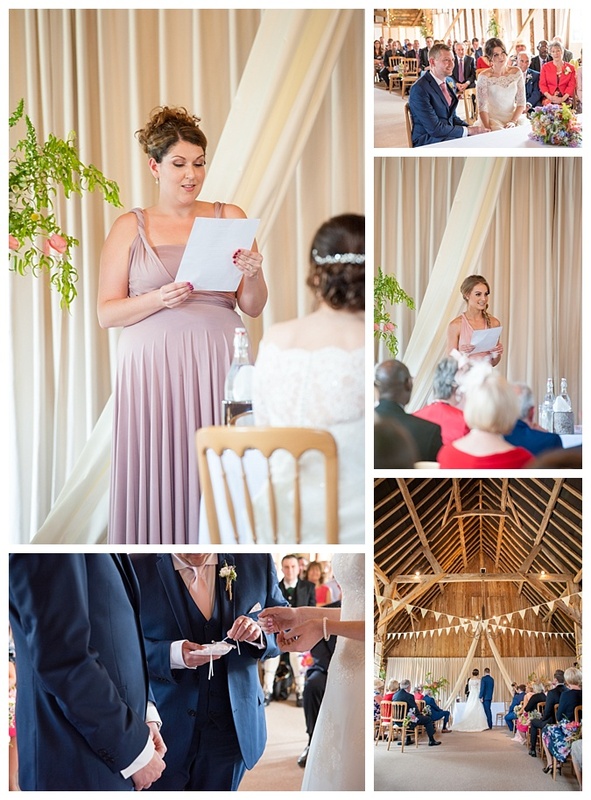 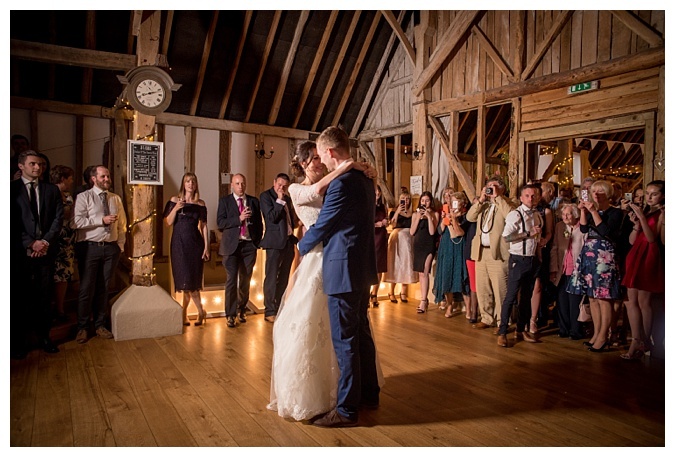 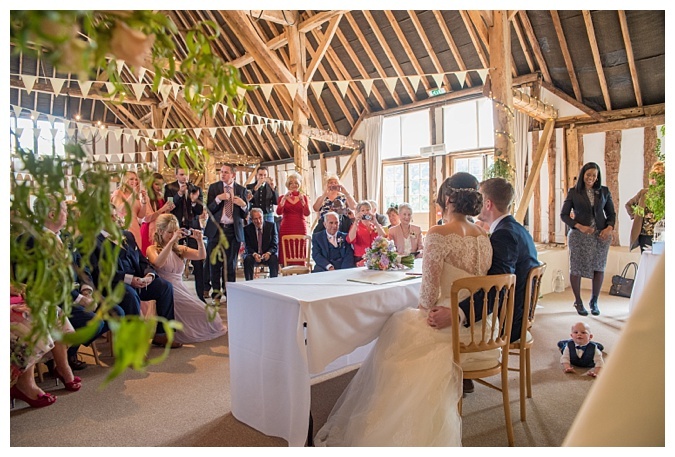 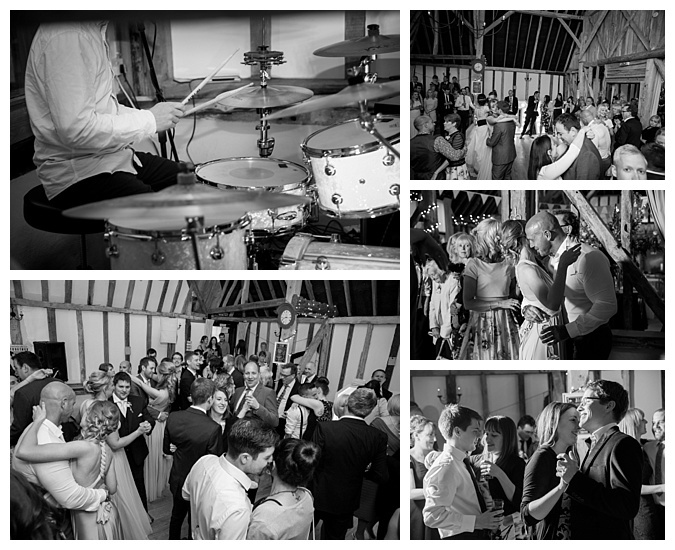 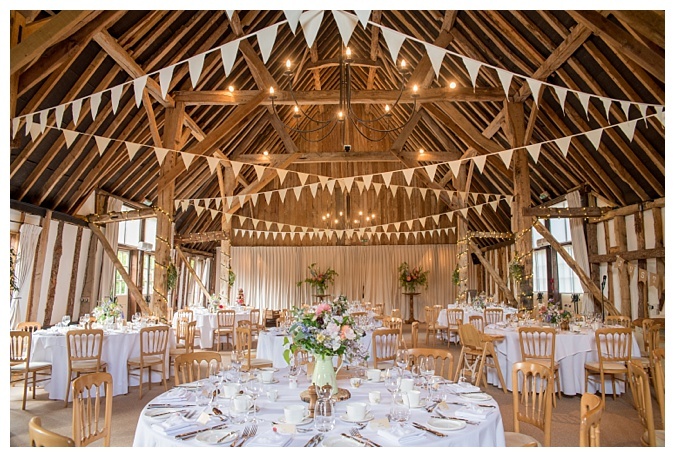 If you’re on the hunt for a beautiful Hampshire Wedding Venue then Clock Barn at Whitchurch really is worth taking a peep at. 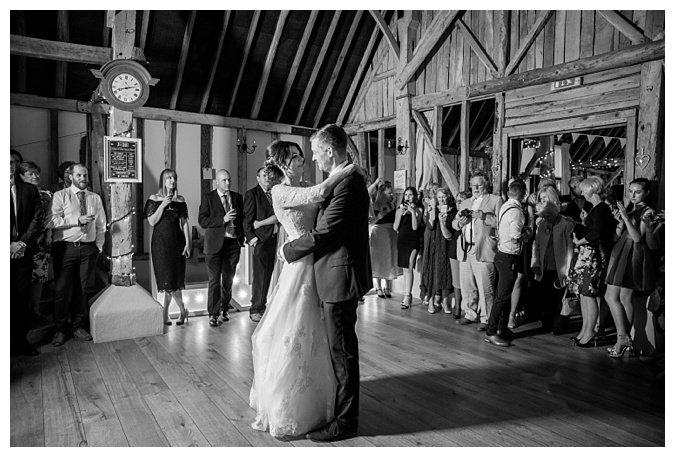 It has several adjoining rooms within the barn which offer a lounge area for some quiet time, a designated bar area, a spot for the entertainment and plenty of space for tables full of your loved ones. 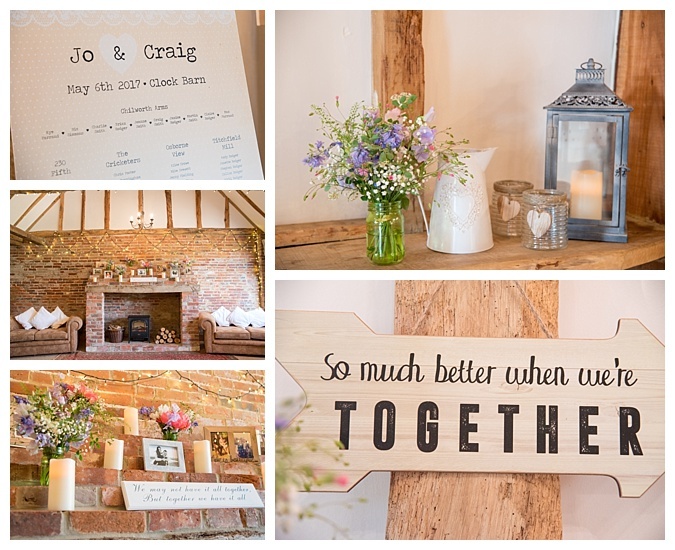 Jo and Craig took full advantage of the beautiful space with clean and bright styling and an abundance of fresh flowers. 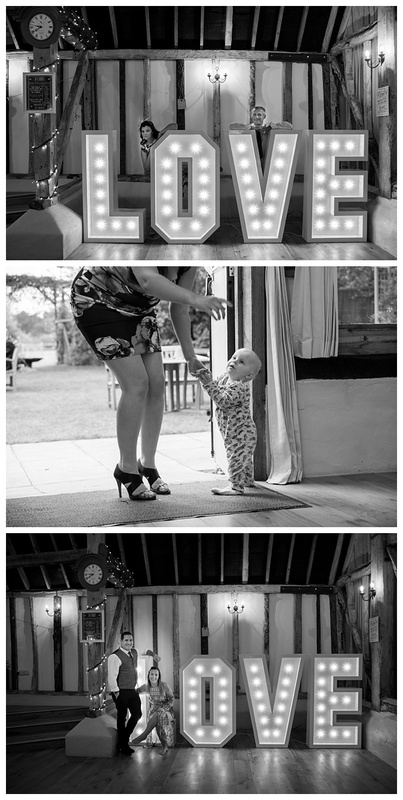 Everywhere I turned, the space was accessorised with ornamental jugs, lanterns and cute signs; it was a feast for the eyes! 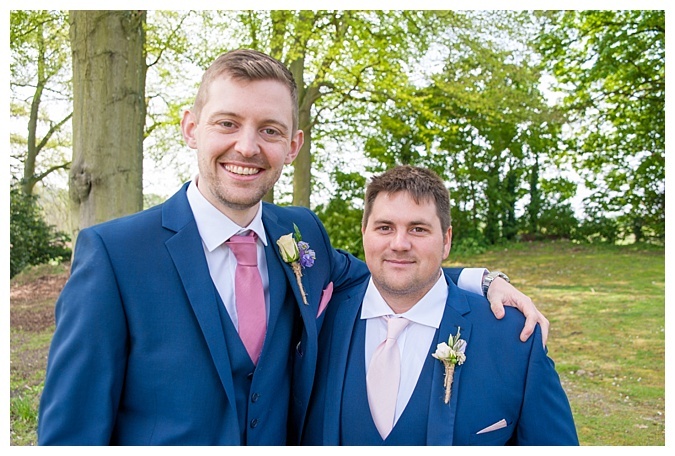 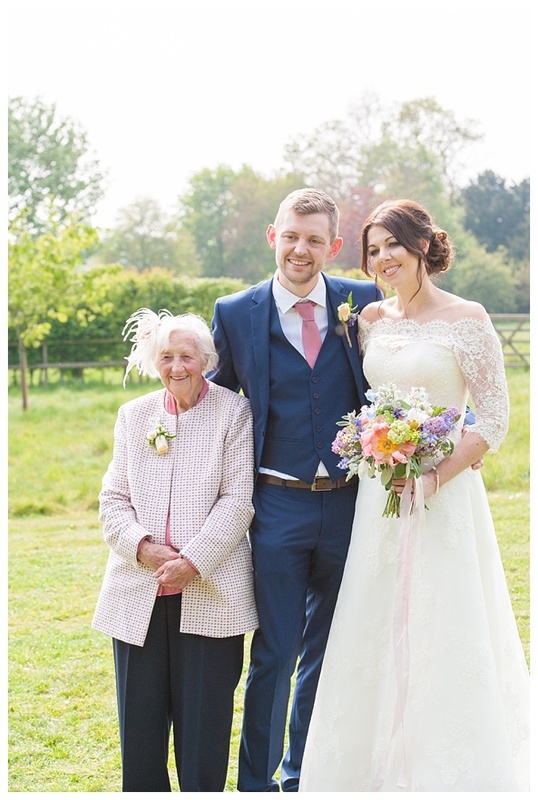 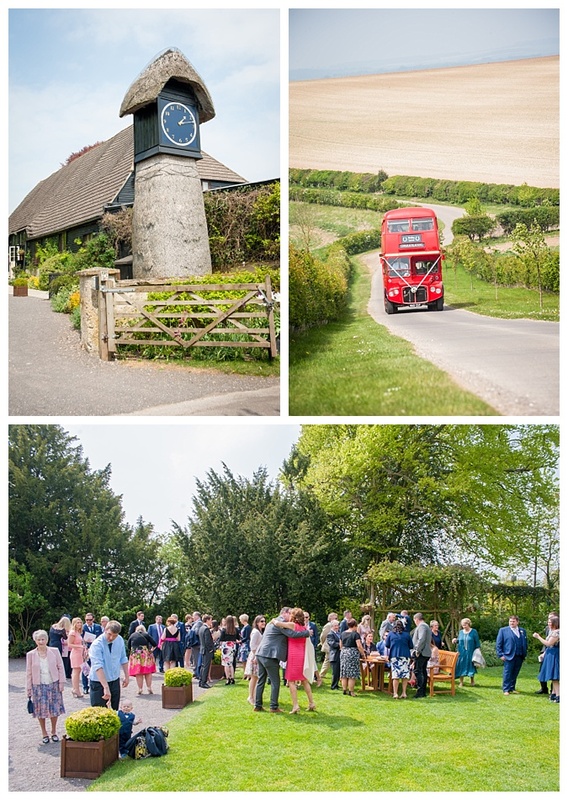 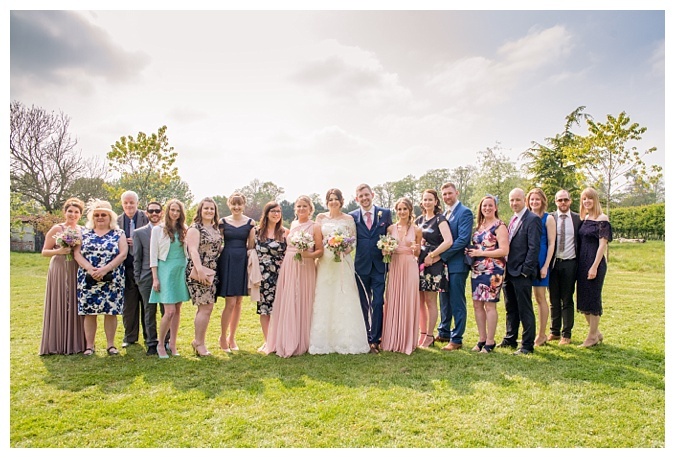 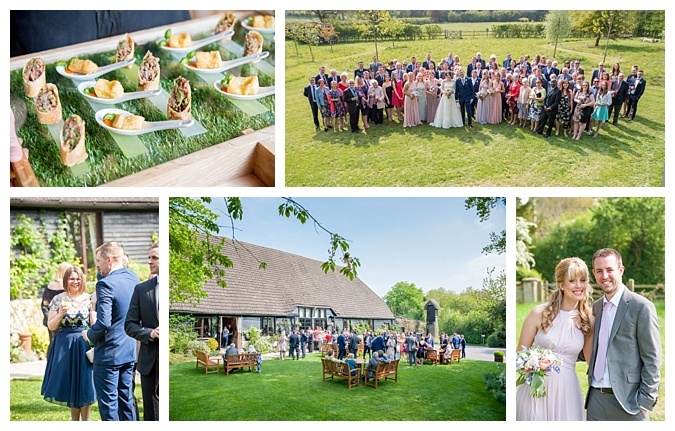 After a heartfelt ceremony, guests enjoyed Pimms and canapés on the lawn whilst we captured a handful of group portraits as swiftly as possible….no-one wants to spend hours on formal pictures, do they!? 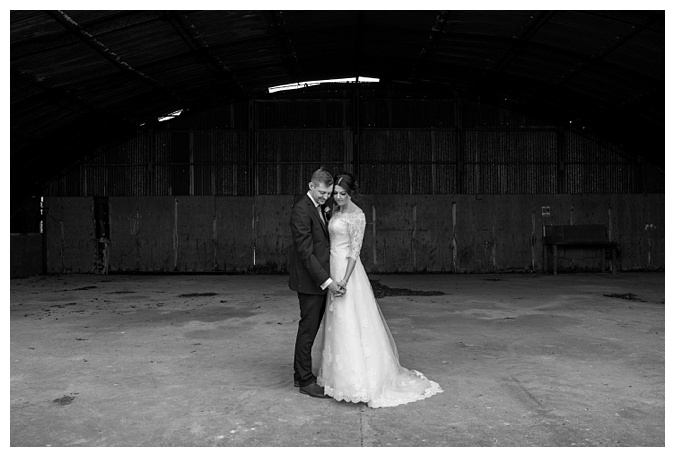 Once completed, we were able to whisk Jo and Craig away for some time alone to capture some creative portraits of just the two of them. 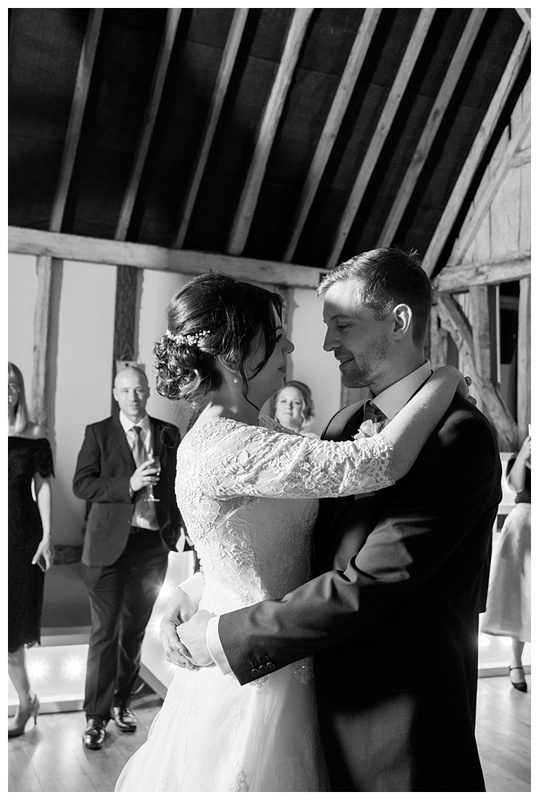 This is amongst my favourite part of the day, especially somewhere as beautiful as Clock Barn, as it’s such a great opportunity to document the little moments between a couple. 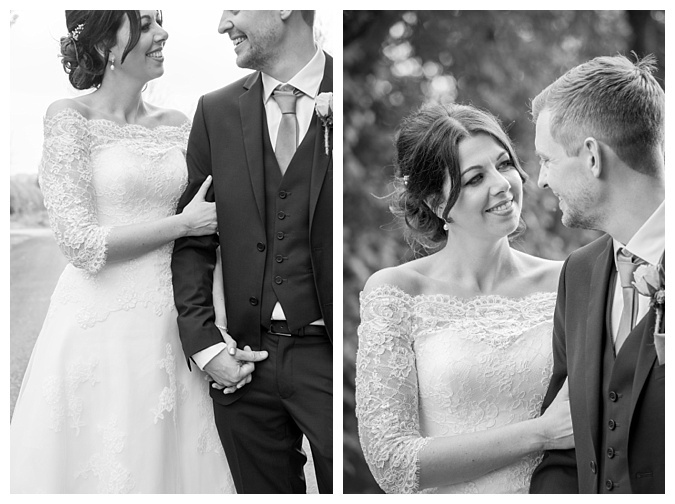 These guys were super patient with me and indulged me as I squeaked ‘oooh, let’s use that tree!’ and ‘Eep! 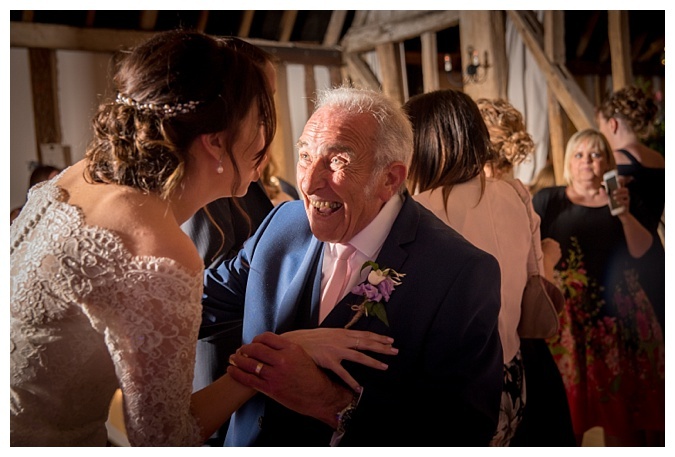 I love that shed!’….previous clients will vouch that I do actually speak when I get excited! 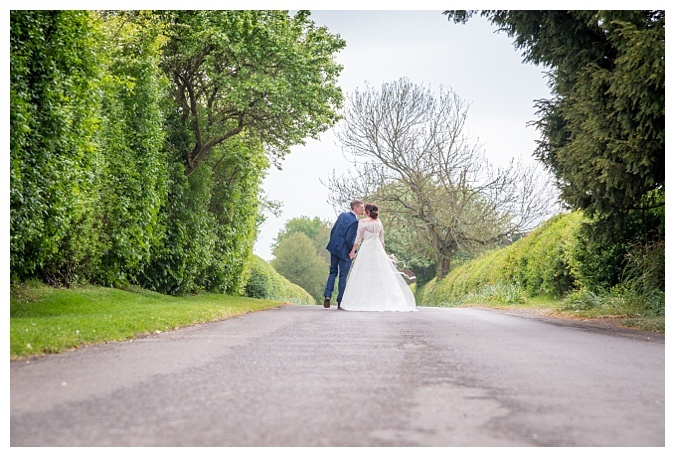 Days like these are just magical! 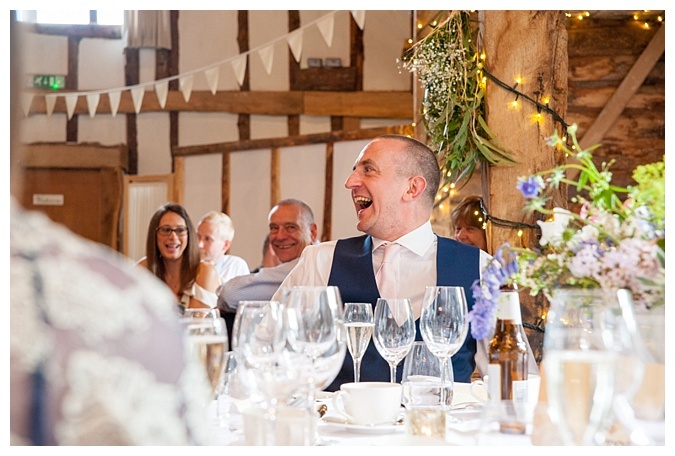 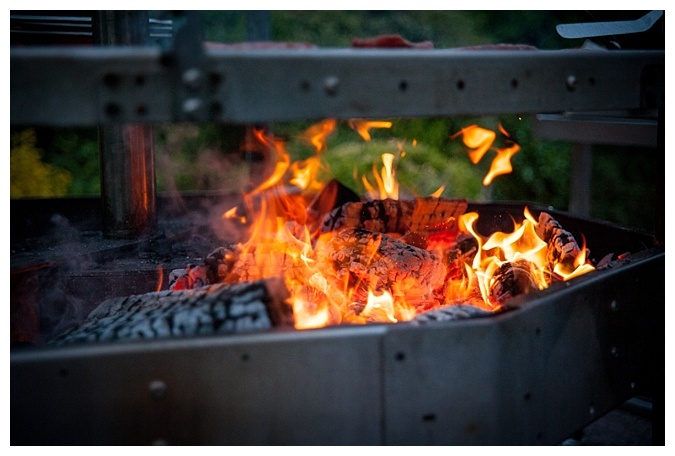 When the sun shines, the sound of laughter and clinking glasses surrounds you and the food and entertainment are top notch – you know you’re onto a winner! 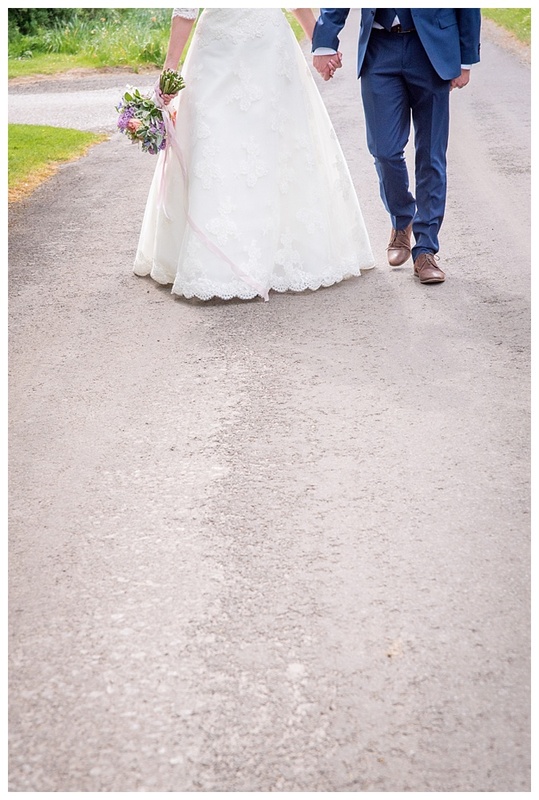 Jo and Craig, you did it with style! 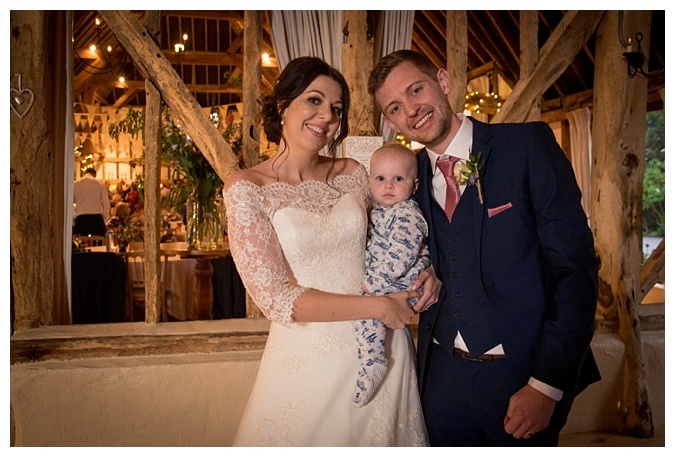 Thanks so much for inviting us to be a part of such a special time in your lives.